FCR, the premier provider of outsourced live agent call center and business process solutions, announced today that it was recently recognized by the Coos Bay Downtown Association at their annual meeting known as Celebrate Downtown 2017. FCR Program Manager Jeremy Hill-Marshall was recognized with the Volunteer Award, and FCR was recognized as a company with the Team Volunteer Award. Hill-Marshall was also elected to the Board of Directors for the Coos Bay Downtown Association for 2017. FCR and Mr. Hill-Marshall’s achievements are part of a larger effort by the company’s Community Alliance Teams. Each of FCR’s five Oregon site locations give back to their local communities through acts of volunteerism and community organizing. 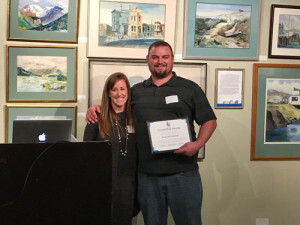 Jeremy Hill-Marshall received the Volunteer Award for organizing community events and contributing to the Wednesday Market, the Backpacks For Kids Program, changing out Coos Bay’s city banners, Beach Clean-up events, and more. 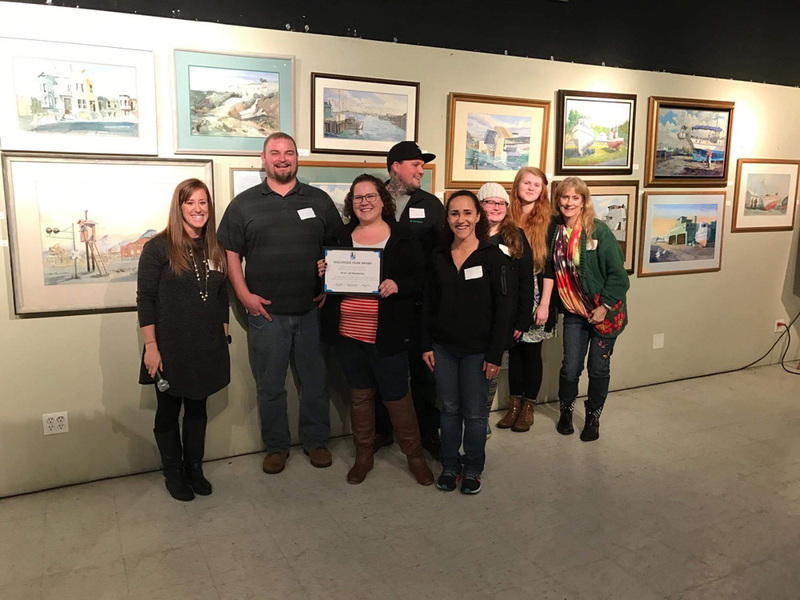 FCR’s Coos Bay colleagues also participated in the events, including Tammy Pierce, Sherilee Metteer, Theresa Keys, Andrew Haley, Hannah Mansfield, and Amber Taylor, who were also in attendance for the awards presentation. Headquartered in Oregon, with facilities in Roseburg, Grants Pass, Coos Bay, Veneta, Eugene, Independence, and now Great Falls, Montana, FCR has built a new class of high-quality, domestic-based contact center and business process outsourcing solutions. The company provides a wide range of outsourced call center and business process solutions to industries that include high tech, startups, mobile commerce, wireless, telecom, finance, insurance, e-commerce, healthcare, retail, travel and hospitality, and various sectors of the new economy. FCR currently supports more than 60 clients and employs over 1,600 colleagues across seven facilities. FCR is changing the face of the outsourcing industry, one call, email, instant message, text, and video conference at a time. To learn more about the company, visit www.gofcr.com for further information.